Hi friends! Ok – so have you TRIED the new Lemon Oreos? I have to be honest, I haven’t been the hugest fan of all the new flavors out there. I have dabbled in Candy Dipped Golden Oreos and ok, those were really good. And yes, the Birthday Cake Oreos are also pretty tasty, but nothing quite beat that chocolate original. Maybe until now. The Lemon Oreos are divine. DIVINE. So of course you have to be a fan of all things lemon, but I am so that works out just fine for me. And after eating a few in my favorite fashion (with a glass of milk), I had an AHA moment – Lemon Oreo Cheesecake! Yes, perfect. And that’s just what I’ve made, in a mini cupcake style. You’re going to want to whip up all the “cheesecake” ingredients in your mixer and add a good amount of CRUSHED LEMON OREOS in that mix. Oh man, just the thought of it makes my mouth water. Lemon Oreos! 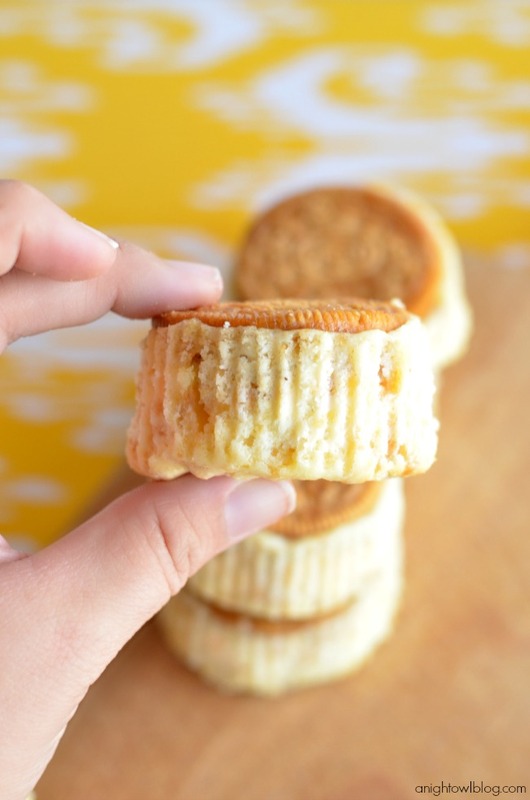 Then line a muffin pan with cupcake wrappers, plop down a FULL Lemon Oreo at the bottom and fill with your cheesecake filling. Then you bake, refrigerate and voila! A tasty Mini Lemon Oreo Cheesecake! I’m not going to talk about how many I ate of these that first day. Thankfully I only made a handful (since I’m the only one who eats cheesecake in my home – what was I thinking?!). But they were oh, so yummy! Chop 6 Lemon Oreos into small pieces, set aside. 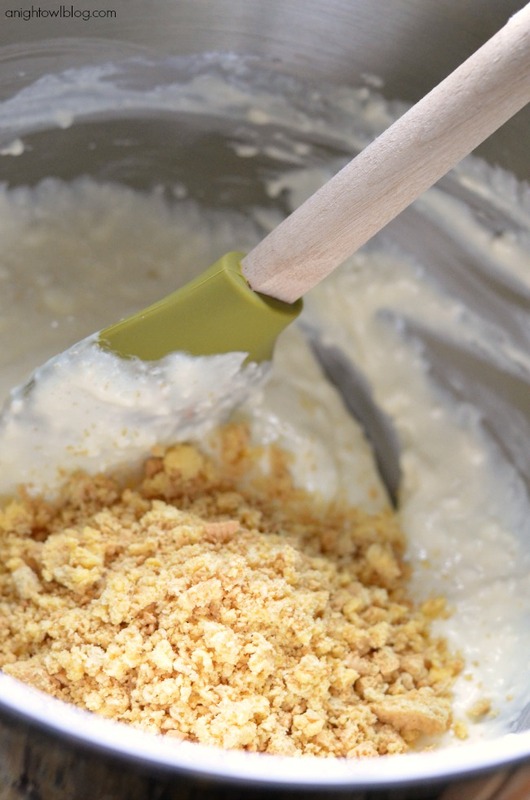 Beat together cream cheese and sugar until well mixed. Add sour cream and vanilla until blended, followed by the egg. Stir chopped Lemon Oreos into cheesecake mixture. 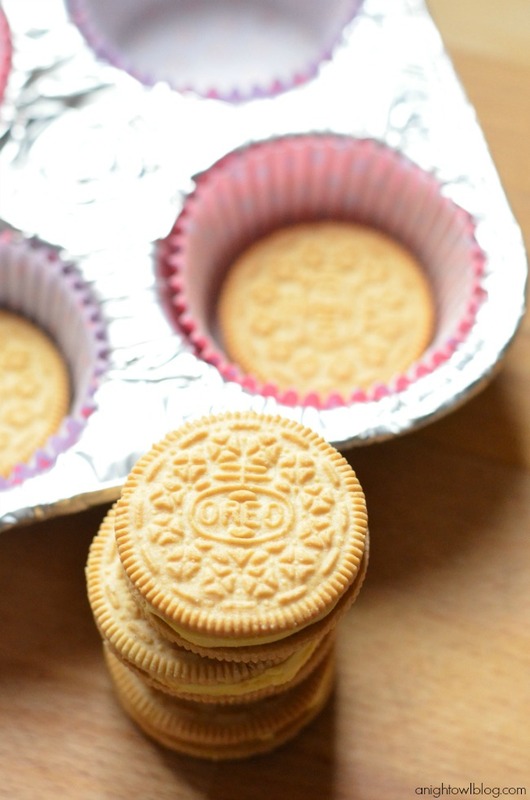 Line a muffin pan with 6 cupcake liners, adding a Lemon Oreo to the bottom of each cup. Spoon cheesecake mixture on top of Lemon Oreos. Bake for 20 minutes at 350 or until centers are almost set. Cool, then refrigerate for 3 hours. Ok there you have it! One tasty and fairly EASY Mini Lemon Oreo Cheesecake recipe. Now if you’re a lemon lover like me, get on this! You won’t be disappointed. Oh and do tell…if you try it and love it too! 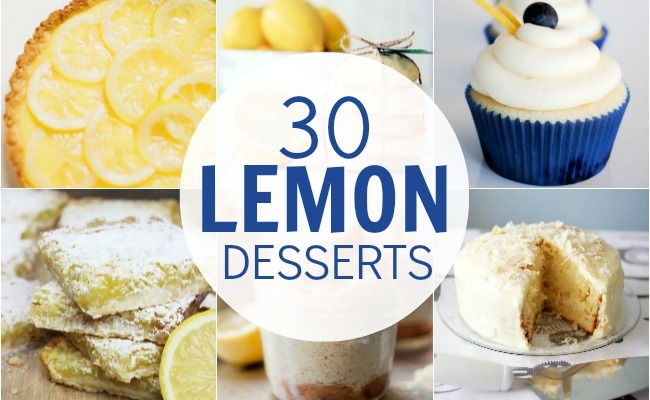 If you love this recipe, check out these 30+ Luscious Lemon Desserts! 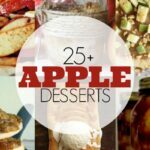 25+ Awesome Apple Desserts – Cookies, Cakes and More! 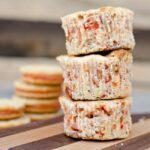 These look amazing and cannot wait to try them this weekend!! What temperature do I bake them at? These look amazing! 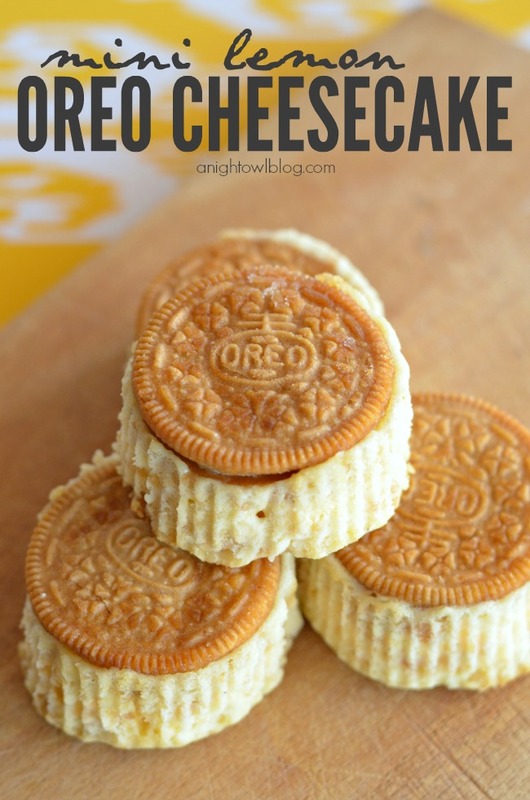 Have plans to try something similar with the original Oreos! Thanks for sharing! Sounds good Elie! You’ll have to let me know how they turn out! Kimberly, I’m all over this amazing cheesecake and oreo treat! Love the lemon action the most! Made these today and mine don’t look as good as yours do, but they are dee-lish! I can completely understand why you don’t want to talk about how many you ate! Thanks for the recipe! Oh no, Ashley! I didn’t know that…that stinks! I think chocolate are still my favorite but I do love the lemon! So…don’t laugh, but I didn’t even know there were lemon oreos! 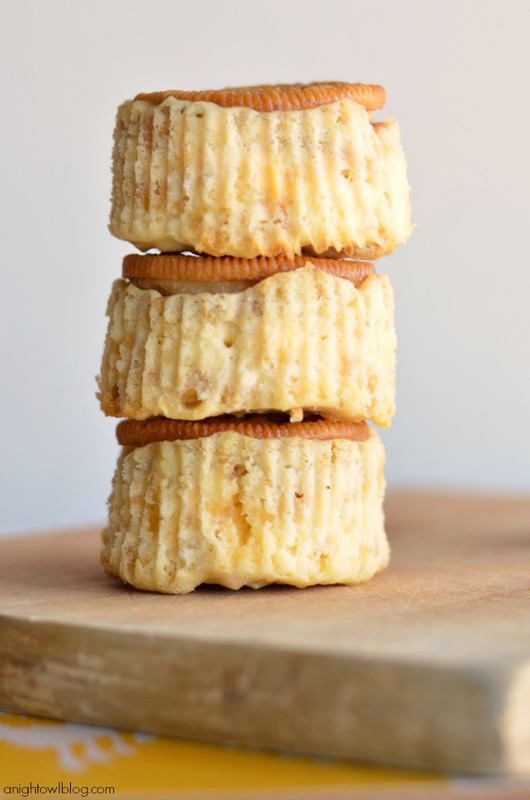 Your mini cheesecakes are so cute–great use of these oreos I didn’t know existed! Plus, everyone digs individual desserts. Makes things more fun. Thank you for sharing with See Ya in the Gumbo. It’s nice to have you stop by! Hey! Thanks for sharing these at Domestic Superhero Pinworthy Projects link party last week! I am going to be featuring them tomorrow at the weekly party! I can’t wait to make them! Thanks! Wooo! 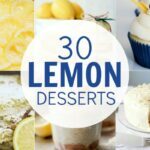 I love lemon so I made these the week I found the recipe. I had enough left in the bag to make them again tonight, but I noticed I missed a step in the directions. I didn’t use any crushed lemon oreos IN the recipe. Either way, they were delicious and pretty cost effective since one bag of oreos can make two batches. On my 3rd attempt at making them, I’ll actually crush up some oreos to taste it that way too! Oh awesome, Courtney! I’m so glad you liked them. I don’t think the crushed Oreos are necessary, but I’m sure you’ll love adding them as well! Thanks for stopping by! Ok I’m a card carrying idiot so I’ll ask are you taking out the filling of the cookie or leaving it in? 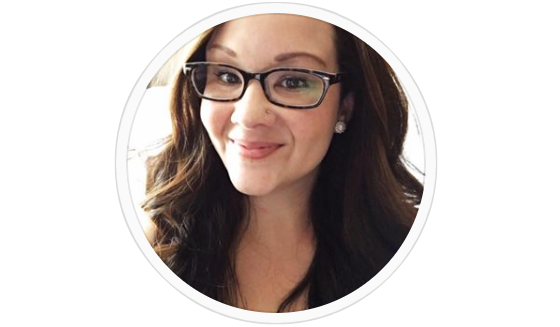 Hi Ellen – great question! The WHOLE cookie! At the bottom of the cupcake cup I put in a whole cookie and when I crushed the Oreos for the cheesecake I also crushed the whole cookie. I hope that helps! In the picture it looks like there’s an Oreo on bottom and top, like an once cream sandwich; but the recipe only says one Oreo on bottom? Am I supposed to put one on top and bottom? Thank you so much! I want to make these for my daughters sweet 16 Party! Hi Diane, there’s just one on the bottom! In the pictures I have it flipped over for you to see. Hope that helps! I found this on Pinterest. I made it. SO easy. I used the “birthday cake” flavored Oreo’s (since it was for a birthday). This was so easy and is my new “go to” when I need easy ‘finger food’ desserts for an event. Can’t wait to try with a little cherry or raspberry on top of the cupcake. Thanks for the inspiration. Never would have connected to your site, but had to come back and rate and give you a hearty “thanks”! Thank you so much for your kind feedback, Steve! I’m so happy you like them! This has got to be all of my absolute favorite things all rolled into one! YUM! I can’t wait to share it this Friday morning at http://www.makingitinthemountains.com!!! Stopping by from Wednesday Whatsits. I haven’t dabbled in any of the Oreo flavors. We don’t buy a lot of this stuff and when we do, its small packages and we keep it simple. I have been experimenting more with lemon flavor things these last few months. I adore cheesecake. 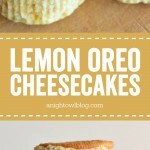 I might have to see if my local store has these Lemon Oreos and maybe make these for a special weekend treat. YUMMMM! 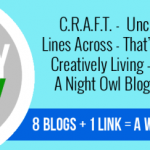 Thanks for linking up to the Creative Collection Link Party! Pinned! These look amazing! Thankfully Oreos are more accessible here in the UK now, I have to find the lemon ones though to try these! Yummers! These look amaze balls, friend. Hello there! Can I use Greek Yogurt in place of the sour cream? Hi Jennifer, you certainly can and that’s a great idea! Done and done! These came out fantastic! Thank you for the recipe!